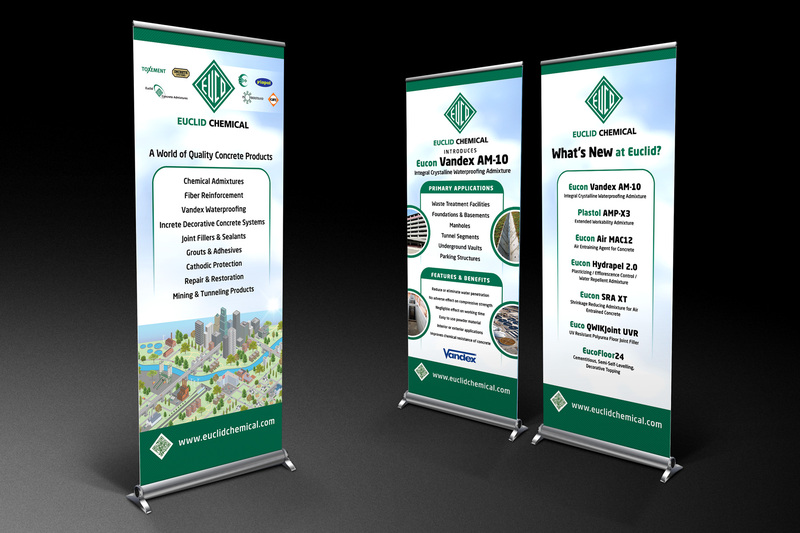 Euclid Chemical wanted to graphically convey the “World of Concrete Products” they provide to the industry. 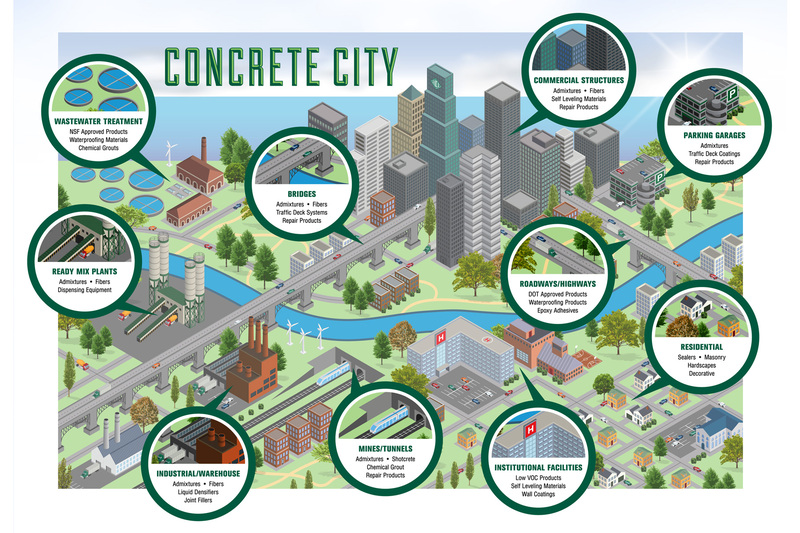 The illustration is an isometric vector “Concrete City” that provides a visual reference for the wide array of applications where their products are used. 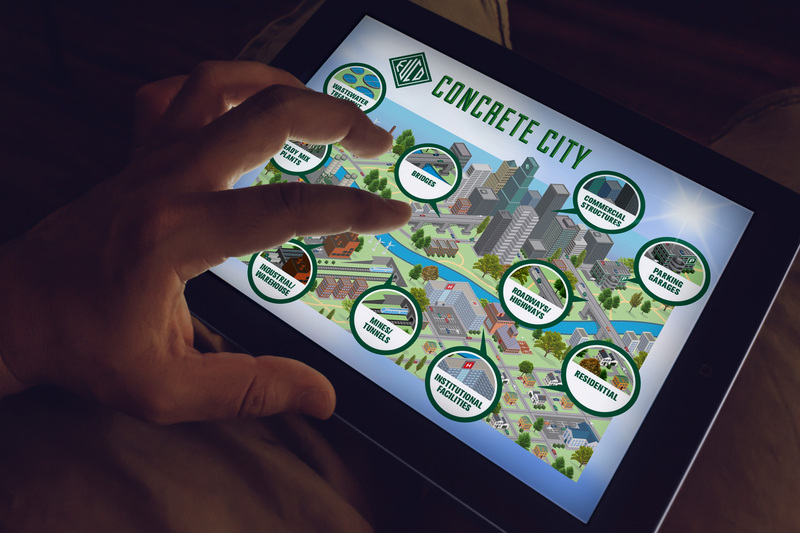 To call attention to the individual applications, each unique use is called out with graphics and text, but when seen as a whole, the viewer can’t help but be impressed with the multitudes of products the clients manufactures for every aspect of the concrete industry. This graphic would ultimately be used in a wide range of marketing materials including trade show graphics, interactive experiences and printed literature.